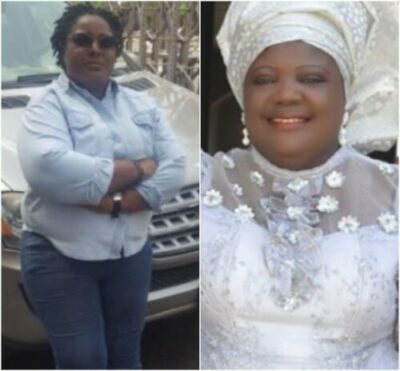 Caretaker commitee chairman of Ahoada East local government, Beatrice Awala, has dissociated herself from her daughter Miss Awala Uwuma, a youth leader in Rivers state’s decision to defect from PDP to APC. Rivers state is one of the state being controlled by PDP. Mrs Awala in a post she shared on her Facebook page, appealed to the state governor and other PDP members not to associate her with her 31 year old daughter’s decision. Lord bless all my fb friends in Jesus name. Amen. With all sincerity and from d bottom of our hearts Daddy Vincent and Beatrice Awala are not in support of Uwuma Awala defecting to APC. She is an adult and on her own. At her age precisely 31 last Dec 31,2017, i was already married and has finished giving birth to her and her other siblins and stopped having babies. I wish to inform d Governor Mr Project, The PDP State Chairman, and all PDP faithfuls in R/S and Nigeria at large that nothing will make me leave PDP, d largest and well organised Political Party in Africa to a zigzag and lie lie APC. Do not join Uwuma issues with me. I joined PDP in 1998 and i have not left PDP for one day. It is said in d bible that u should not purnish mother or father for d sin of son or daughter. I have paid my dues in PDP. We told Uwuma to retract all what she wrote or said about PDP or d Governor. “You can take a horse to d River but u cannot force it to drink water” this is a common adage. The pain is more on us Uwuma’s family because as she is abusing PDP and it’s leaders,she is abusing me also. I am one of d PDP leaders viz Wd13 of AELGA, former RVHA, NRVWT etc. We pray for her everyday for God to open her eyes to see d evil in APC. For us–Forward ever for PDP. Whether rain or sunshine where Governor Wike is, is where i and rest of d family will be. He has done so much for d people of R/S. His yes is yes. Not with twisted mouth or tongue. The Gov. Bro Felix Obuah, Sen ThankGod O Ideozu,and others treated my husband of stroke. The Gov. Mr Project, gave my late mother a State burial with PDP State Chairman and others. The wife of d Gov. is kind and has a large heart.